and lastly, they simply are eye sores. A good and well maintained lawn is characterized by the absence of unwanted weeds. That is why you should strive to make sure you weed out your lawn regularly. If that is your aim, then, you should bear in mind some helpful guidelines that would eradicate your problem over weeds. Here are some useful tips. An old garden practice called mulching is also an effective way to keep weeds under control. This process helps control weeds by using a thick layer of materials such as leaves, bark, grass clippings and other organic matter and spreading the mixture over your lawn. Not only does this organic material keep your soil rich and healthy, it also prevents sunlight from reaching the seeds of the weeds. Since they can’t grow and establish so the weeds die. 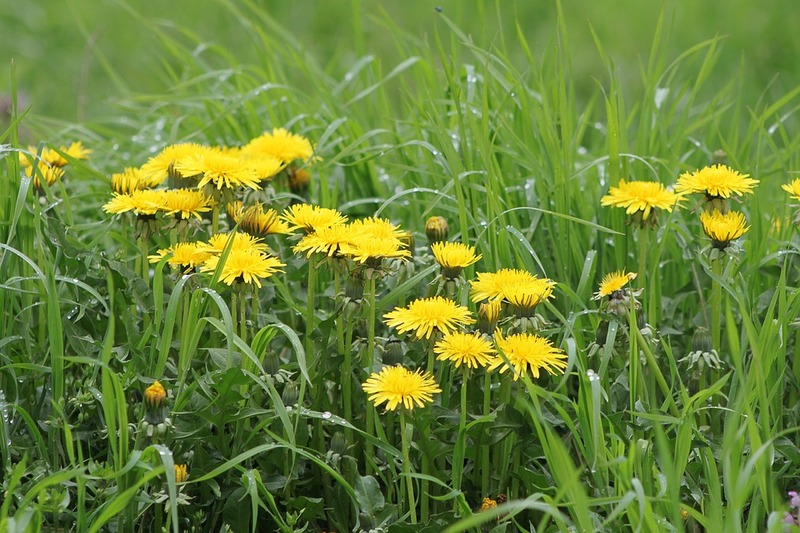 If you use these natural methods of controlling weeds, you will have to be vigilant and patient. Pulling out leaves and preventing seeds from growing doesn’t guarantee they won’t sprout again. However, you can keep controlling them until they are either minimized or eliminated. Weeds are tough and flexible. In fact, there is no all-in-one weed killing product on the market today that can destroy all kinds of weeds. If you want an effective way of controlling them, first learn how to recognize them. If you know which weeds are found in your lawn, you’ll be able to find the right product to use. There are two kinds of herbicides – the systemic type and the contact type. The systemic herbicide is absorbed by the weeds through the leaves and the root system. These kill the weeds from the inside out. Contact herbicides, as their name implies, kill from the outside in. They prevent the weeds from using photosynthesis to survive. Both these herbicides come as either selective or nonselective varieties. Selective herbicides are those that are chemically capable of killing only certain weeds without affecting other plants in your lawn. Nonselectives, however, will kill regardless of what they encounter. The best way to use these chemicals for controlling weeds is to follow the manufacturer’s directions. This is also the safest method, considering that much of the failure (and danger) associated with the use of herbicides is due to inaccurate or incorrect application. Use during early spring to attack weeds when they are at their weakest. If you don’t want to use chemicals and if the weeds in your lawn are still manageable, try to control their growth by simply uprooting the weeds. The best way to do this is to cultivate the soil by breaking up the surface. This aerates the soil and makes it soft, so weeds are easier to pull out. Do this when the weeds are still young to ensure that no flower or seed is propagated or spread. Perform this task regularly to make sure that any growth within a season is controlled. According to the Merriam-Webster dictionary, a weed is a plant that people don’t value and has a tendency to overpower other plants, specifically those we consider desirable. This is a tricky definition, considering that one man’s weed is another man’s wild flower. In order to decide whether or not to destroy a certain growth, it’s best to ask yourself whether you want that plant in your garden or not. If the answer is no, then it’s time to get rid of it. Weeds are notorious for being fast growers, able to outgrow other garden plants. Because they will overpower and probably destroy these plants, we find them annoying, especially since most of them don’t have any apparent use. Furthermore, most weeds don’t have the aesthetic appeal that other plants have. Is there any reason why I should not be so harsh on weeds? Weeds do have their advantage. They are the favorite residence of many pest and bug-killing insects such as ladybugs and bees. If you have these insects in your garden, you can even control the incidents of pest infestation in your turf. However, if pests aren’t a problem, you probably have no use for weeds and should control their growth. Mow your lawn frequently or regularly. Doing so will help maintain not just the beauty and density of the turf, but also help monitor the presence of unwanted weeds. Detecting any weeds will give you the signal to do what you must do to get rid of the problem. Observe the one-third rule when mowing your lawn. That means you shouldn’t cut more than one third of the turfs’ leaf blades every mowing session. That way, you’ll make sure the turf won’t get exclusive access to sunlight. Thus, any presence of weeds underneath the turf will be eradicated because you know even weeds need sunlight to exist. Water and fertilize the lawn properly and appropriately. Moderation is the answer. Having too much water and fertilizer or too little will stress the turf, and there could be open areas on the lawn where weeds can opportunistically grow. A successful weed free landscape is one that lasts a long time. But if you’re wondering what the secret is for a landscape’s weed free longevity then the answer lies on the soil. If your soil is good, then you are almost always assured of growing healthy plants. – mixing your soil with compost makes it better in retaining air and water than ordinary soil can. Also, the compost introduces more nutrients to the soil which will help a lot in growing plants. Creating compost can take a while, though. Active composting, wherein you take a systematic approach in creating compost, takes about a month. Meanwhile, passive composting, the method where you let nature take its course in composting the organic materials, takes much longer. – mulch is any type of organic material that you put on top of your soil. It can range from cut grass to bark. Putting mulch on the soil can help the soil retain water better and prevent it from eroding easily. – just because fertilizers help put nutrients on your soil doesn’t mean you have to overdo it. In fact, too much fertilizer can have adverse effects on your soil and the environment in general. Check out our Fertilizer Guide to learn more about appropriate lawn fertilization.